The web-based File Station enables you to easily upload, download, and manage files on your TS-451+ wherever there is an internet connection. Supporting file extraction, folder creation, and smart search for files and folders, the File Station also allows you to easily share files with colleagues and friends via unique URLs, email, and a shared space. What's even better, you can also directly browse and transfer files between the TS-451+ and public cloud services like Google Drive™, Dropbox®, Microsoft® OneDrive, Box®, Yandex® Disk and Amazon® Cloud Drive through File Station, and view files with Office Online and Google Docs™ or directly open them with a Google Chrome™ office extension. The TS-451+ provides comprehensive system tools to increase management efficiency. The TS-451+ supports various applications for home offices as an all-in-one Turbo NAS with cost-efficiency. QTS also supports VPN Client for PPTP and OpenVPN to protect your privacy during data transmission. 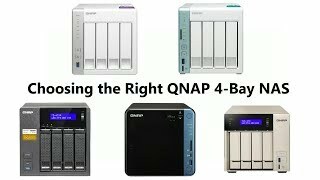 design Second only to the QNAP TS-453A, the QNAP TS-451+ is one of the best 4-bay NAS units from QNAP in the market this 2016. The design is the result of years of chassis design in previous unit and is very easy on the eye. A good combination of plastic and metal throughout where it counts. value For just over £280 you will be hard pushed to find a better 4-bay NAS. Add to that the ever versatile QNAP operating system and the wealth of features that it offers. You can use HDMI port to connect your NAS to surround sound supporting amplifier. Alternatively you can connect external sound card with 5.1 channel or 7.1 channel compatibility. Find a list of sound cards here. If you buy this Qnap Desktop NAS and hard drives we do free build and test for the unit and hard drives. So you can use this device straight out of the box. All free of charge in TS-451+-2G price. When running out of hard drive capacity on the Qnap, UX-500P provides an easy way to immediately scale capacity up to 40TB by additional 5 hard drives. The RAID volume on the Qnap Desktop NAS can be expanded directly without having to reformat the existing hard drives, ensuring it continues its service during the capacity expansion. When running out of hard drive capacity on the Qnap, UX-800P provides an easy way to immediately scale capacity up to 64TB by additional 8 hard drives. The RAID volume on the Qnap Desktop NAS can be expanded directly without having to reformat the existing hard drives, ensuring it continues its service during the capacity expansion.